Think about the specific details of the remodeling that you want. Do you want to extend your home or make new, smaller rooms out of a bigger one? Write down everything that you want done and everything that you could possibly need to figure out the estimated renovation cost. Will most of your budget be spent on internal remodeling such as the fittings, wall finishes, and plumbing or on taking down new walls or adding new foundations? 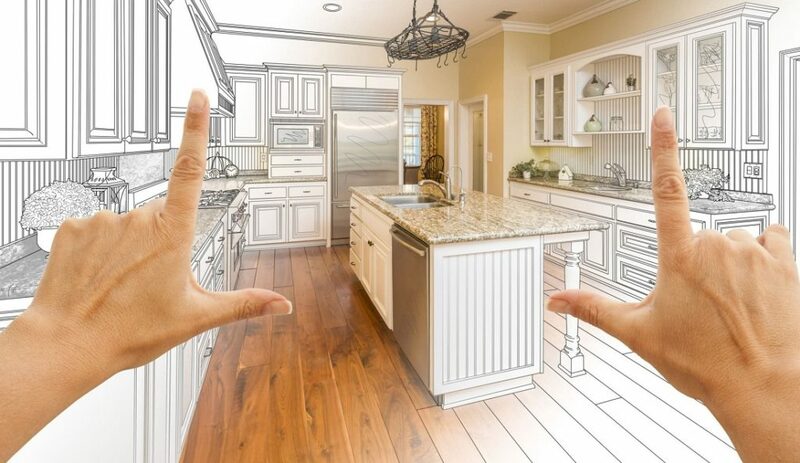 If you’re thinking about a large remodeling project, it would be best to consult a renovation professional to help you create a more solid plan and a more realistic budget. This will also help major surprises from popping up due to complications in groundworks or plumbing. When setting your budget, don’t forget to factor in the rental costs of your temporary accommodation or the storage space where you can put your things while the remodeling continues. While searching for appliances and fixtures for your remodeled home, don’t stray from your budget. Shop around until you find items that fit that budget. Use the Internet to your advantage in doing your research. Take your time in planning your project. If you pay attention to every detail, it would save you a lot of time and money in the long run. Try to minimize the renovation as much as you can. 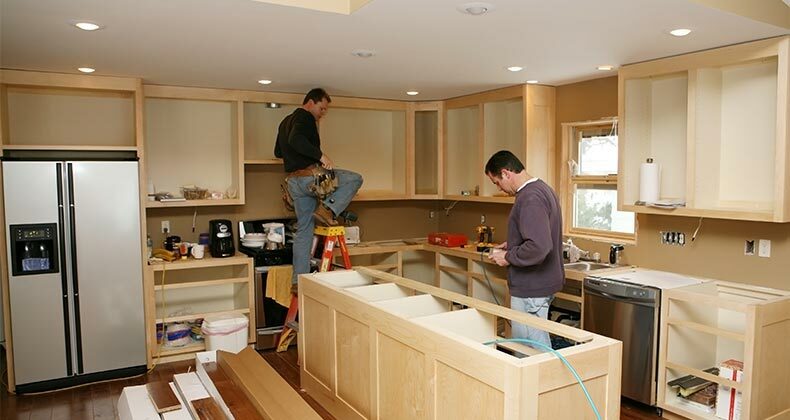 If you want to remodel your kitchen, identify the parts that need remodeling and retain the rest that can be salvaged. For instance, you can keep the kitchen layout’s foundation while replacing the sink taps, worktops, handles, and doors, among others. If you also narrow down the remodeling tasks to the essential ones, you can reduce the labor-intensive ones and save money. Choose off-the-shelf items and straight walls over angle or curved ones. Make sure to think about how many stories you want remodeled to factor in the costly prices of foundations and roof. Remodeling involves a lot of dirt and dust. You can move some of your things out of the way, but those that you opt to leave in your remodeled home should still be protected. Cover them up with tarps to avoid dirtying them up and damaging them. Have you spotted some signs of mold in the house? In some cases, you can address the mold problem on your own, starting with removing and isolating all the affected parts away from the house. Close off the affected area to avoid releasing mold spores into the air. Prepare a fogging solution and spray it onto the affected area. While waiting for it to dry, wash the linens and other removable items that might have been touched by the fogging solution. Once the area has dried, put the HEPA vacuum to work, after which put an air filtration device in the room. Test the room for mold using some screening tests or listen to your body for potential reactions to mold. To prevent mold regrowth, use air movers to help ventilate the area. While searching for the right architect, look for ones who have done renovation projects similar to what you have in mind. They would know how best to help you save money without compromising the end result of your project. Make sure to ask what their fee covers. It would be best if you get at least three quotes from potential builders. If you find one with a great offer but at a slightly higher price than your budget, ask them how they could possibly help you reduce the cost without compromising your remodeling goal. But don’t go for the cheapest quote, especially if it’s too good to be true. It is also ideal to deal with a single main contractor to oversee everything from the doors and windows to the drainage to properly manage the ordering and supervising of the materials. Even during the planning stage, you might want to go specific when it comes to the products that you want used on your house. This makes it easier for the architect or contractor to give you a more realistic estimate of how much the project will cost. Visit hardware stores or home centers to look for items that you may want for the remodeling work. Otherwise, this might mess up your budget when your contractor has different items and prices in mind than what you have envisioned for your remodeling job. It all starts with planning everything to the last detail. Make sure to spend a considerable amount of time to finalize and solidify your plan. Be prepared to work with experienced professionals in the field, too. Have fun remodeling your home and seeing it transform into how you envisioned it to look like.